The Man and I had another lunch date, and I was excited to finally make this meal! 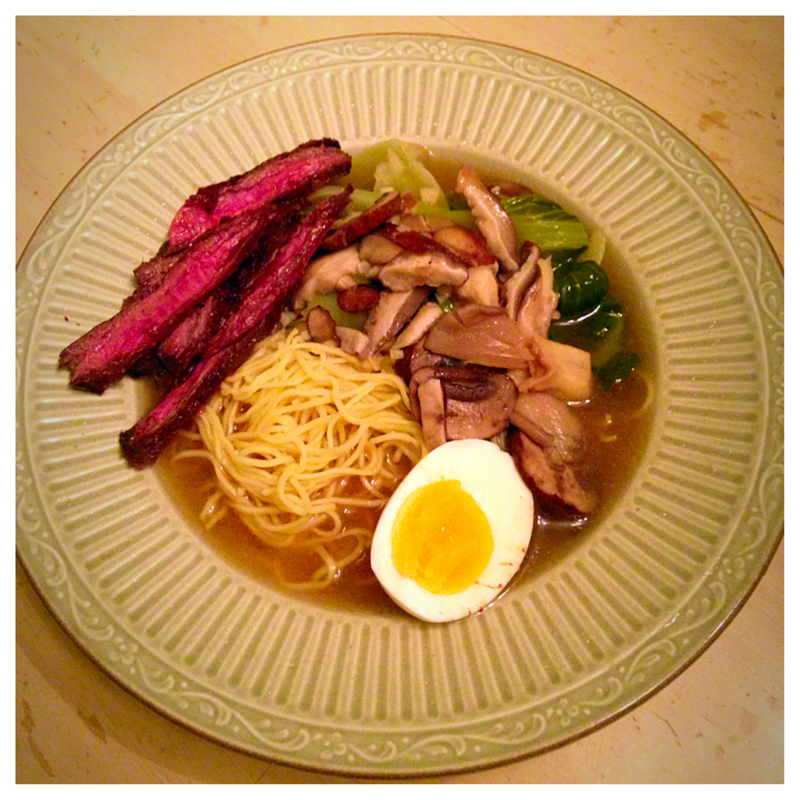 My beef was perfectly seasoned, the egg was wonderfully soft-boiled, and just the flavors developed from garlic, ginger, miso, soy, and scallions in the broth made this one of the best meals I have ever made. I am so proud of this meal, and I wish the world could taste it.